Size? latest exclusive endeavour with adidas Originals, they are pleased to present the second part of the ‘Invisible’ pack, a duo of releases making use of colorways designed to help you blend into your surroundings. The next installment, following on from last months EQT Cushion ADV, is the vibrant ‘Orange Noise’ colorway. Sitting within the ‘Invisible’ theme, despite it’s almost neon hue, the blazing orange used on this release is actually invisible to deer. Their eyesight can’t comprehend the hue, and to them it appears instead as a murky brown or grey. The Primeknit upper on this size? 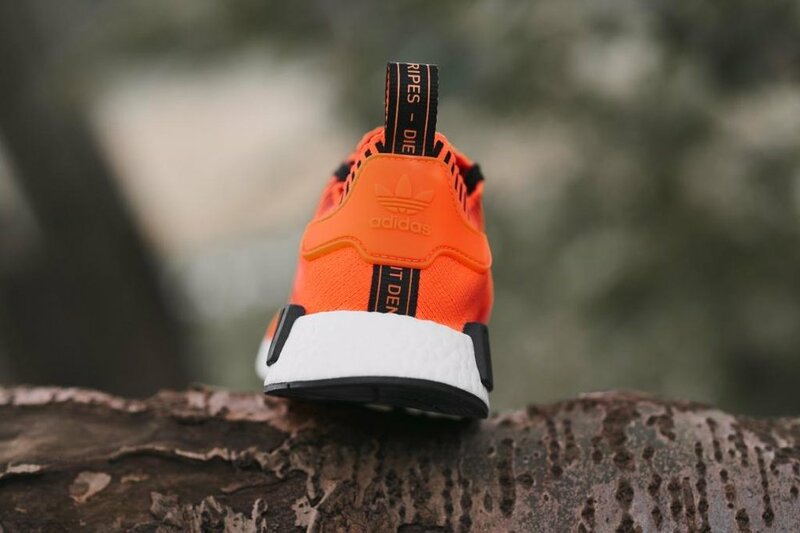 Exclusive NMD_R1 makes use of the eye-watering orange, accented by black detailing on the heeltab and elasticated cuff. The signature plugs inspired by vintage adidas Originals products are colored black, with matching black branding sitting on top. The adidas Originals NMD_R1 “Invisible” will be available size? on December 2.